The Russian ‘Varshavyanka’ stealth submarines, which are being built under project 636.3 for the Black Sea Fleet, is a further development of the project 877EKM. 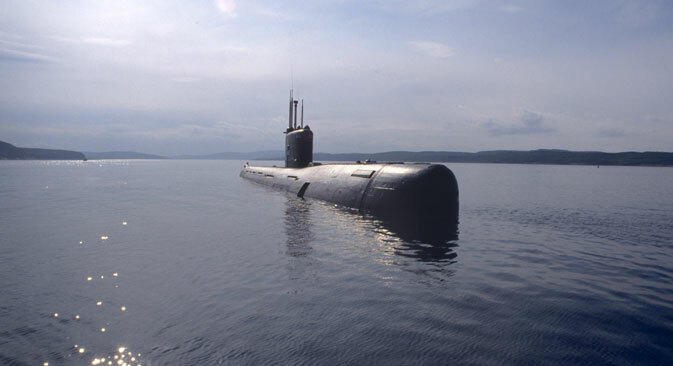 The use of composite materials would reduce the weight of the submarine’s structures, increase its reliability and reduce operating costs since composites don’t corrode and need no paint. Fifth-generation Russian submarines will use anti-sonar composite materials to hide them from enemy detection systems, Izvestia daily newspaper wrote. “The structure and composition of these new multilayer composite materials will significantly reduce the sonar signals reflected from submarine, isolate working mechanisms from vibrations, and so on,” Valery Polovinkin, an adviser to the general director of the Krylov State Research Center, told Izvestia. He also said that, due to the composite material’s high internal loss factor, enemy sonar would simply be unable to pick up the required level of signal while the material’s sound absorption characteristics would minimize the spread of vibrational energy. The use of composite materials would reduce the weight of the submarine’s structures, increase its reliability and reduce operating costs since composites don’t corrode and need no paint. Composite structures would also simplify manufacturing, Polovinkin added. The new composite materials are currently being tested and the first all-composite propeller may be ready for sea trials already in 2018. “This is one of our institute’s most promising projects,” Polovinkin said. The new composite materials are still in testing, but Russia will test its first composite propeller design in 2018. “This is one of our institute’s most promising projects,” Polovinkin said. “This trend reduces vibration in the blades and increases the efficiency of the screw. A combination of all these effects will help improve the ship’s acoustic signature,” he added.